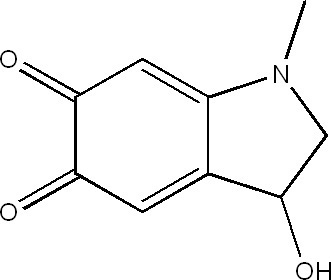 Adrenochrome is a pigment which can be obtained by oxidation of adrenalin (epinephrine). The anti-hemorrhagic derivative Carbazochrome is used as a hemostatic medication. It is synthesized in living organisms (in vivo) by the oxidation of the neurotransmitter hormone epinephrine. It can be synthesized in vitro (experimental biology that uses components of living organism isolated from their original biological context) by using Silver Oxide (Ag2O) as an oxidizing agent. The chemical formula for this substance is C9H9NO3. Density: Its density is 3.264 gm/ cm³. Boiling Point: It decomposes at temperatures between 115 °C and 120 °C. Solubility: Adrenochrome is soluble in water and methyl alcohol; however, it is almost insoluble in ether and benzene. According to megavitamin researchers Dr Abram Hoffer and Humphry Osmond, Adrenochrome is a hallucinogenic substance that might be responsible for mental illnesses like Schizophrenia. In the “Adrenochrome Hypothesis”, they said that mega doses of niacin and Vitamin C cures Schizophrenia by reducing Adrenochrome in the brain. 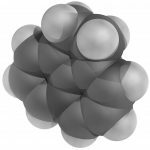 There have been considerable amounts of controversy over whether it can be categorized as a psychotropic drug as consuming it results in mild euphoria. Buying, distributing and possessing this substance is generally considered legal in the United States. The supplement laws of U.S. regulate its sales as a supplement, while selling it for consumption as a drug or food is controlled by the FDA. Adrenochrome Monosemicarbazone, also known as Carbazochrome is a derivative of Adrenochrome. It is believed to be able to decrease capillary fragility and to control micro vessel bleeding as well as bleeding from wounds. It is a prescribed medication for cases of haematuria, secondary hemorrhage from wounds, retinal hemorrhage and Hypersensitivity. However, one should be cautious while using this medication for infants and old people. It should not be used during pregnancy unless prescribed by a certified Doctor.